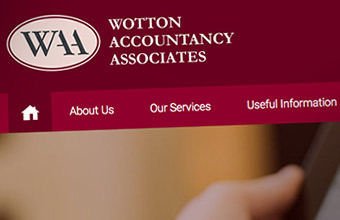 WAA is a family-based accountancy firm located in Wotton-under-Edge. 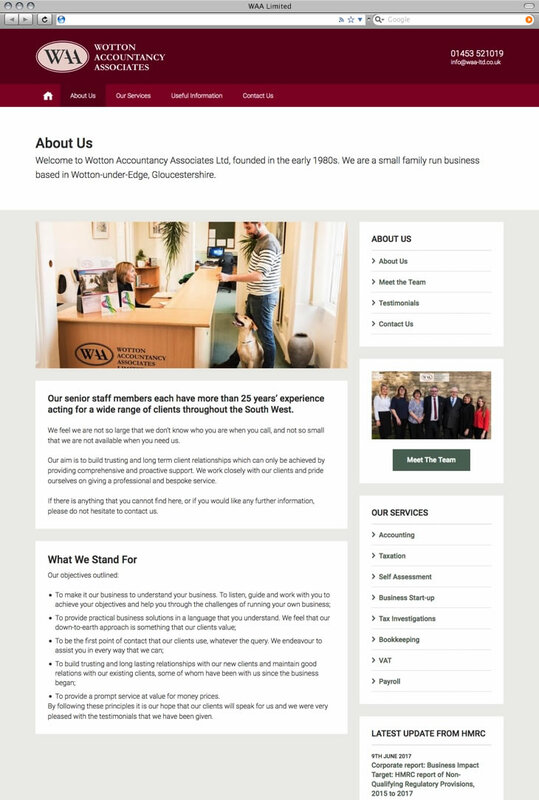 They have been long-term clients and made the decision to move away from their expensive marketing deal with another company - the website they'd produced wasn't up to standard and was difficult to get the updates they needed. 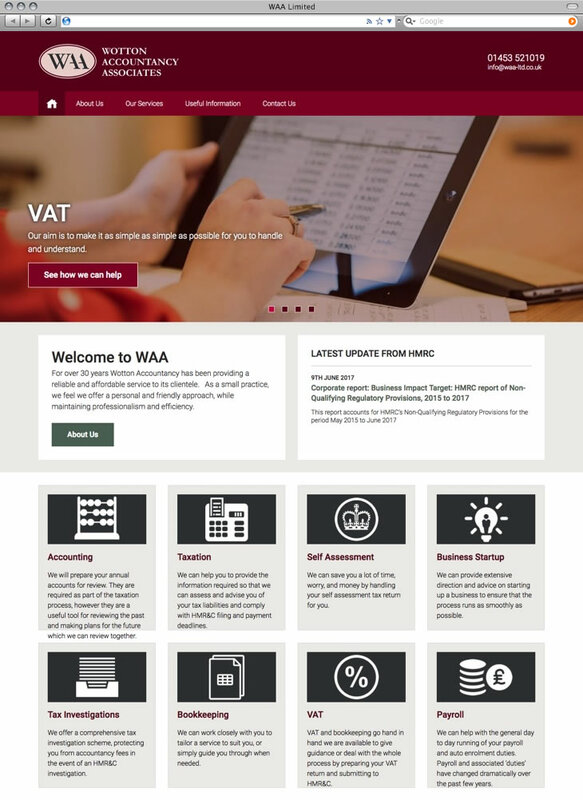 We were delighted to have to opportunity to create a fresh new design for the company, with a responsive layout and easy-to-edit back-end features.